Tidy Cats Coupons – It's Time to Call Again! Tidy Cats Coupons – It’s Time to Call Again! Changes at Coupon Crazy in Kentucky! UPDATE – YOU NEED TO GO TO THE GIVEAWAY PAGE (LINK SHOWN BELOW) TO ENTER THE CONTEST!! 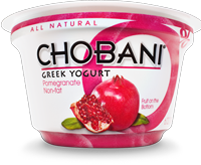 The Chobani Greek Yogurt giveaway ends TOMORROW, 5/31, at midnight EST. Reminder – you MUST leave a different comment for each entry!! Otherwise, your entry only counts once!!! I have nevr tried this yogurt, but would really like to.